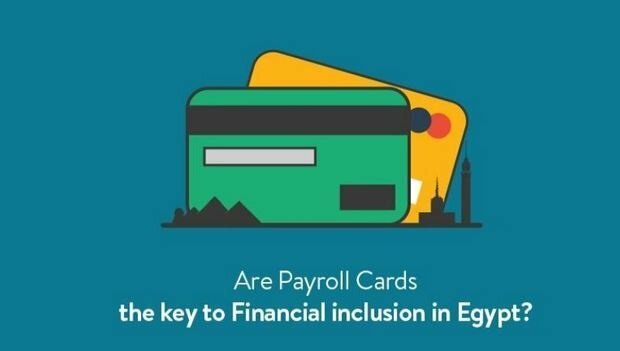 Can financial inclusion in Egypt be triggered by payroll cards? Advocates of the cards say it will provide a large portion of the underbanked Egyptian population with access to banking system and e-commerce. In places like the United States, there is considerable debate over the use of payroll cards; but in Egypt, they are being viewed as an effective tool to give a nation access to the world of electronic payments. Advocates of the cards say that this technology will provide a large portion of the Egyptian population who are currently underbanked, with access to the country’s banking system as well as the growing Egyptian ecommerce marketplace. In this post we’ll provide a quick introduction to how these cards work and how companies like Visa are hoping to roll out the technology across the country. A payroll card is a special prepaid card which an employee can use to collect their salary and serve as an alternative to other payment options such as cash, direct deposit or paper checks. Payroll cards are often offered by banks and credit card companies as a service for underbanked employees who do not have access to bank accounts and bring a range of benefits. Employers are able to save money by not issuing paper checks, while employees can get their money instantly, just like employees who use direct deposit, and they don’t have to pay check-cashing fees or worry about losing large sums of cash. For the underbanked, a payroll card is often the best way to take advantage of several electronic payment services. They offer the ability to use resources traditionally associated with bank accounts such as access to cash through ATMs, purchasing products via online merchants, bill payments, mobile banking applications and online tools to better manage funds. In many parts of the world, gaining access to mobile banking applications is especially important. As the mobile internet has become increasingly popular, more people are relying on their smartphone for day to day internet access. Having the ability to monitor and manage their money in real time paves the way for a more financial active population. Visa Egypt is working closely with the government to educate employees about the benefits of Payroll Cards. The General Manager of Visa Egypt, Tarek Mahfouz, said that they are currently focused on government employees and ensuring they understand how to best use the technology. Both Visa and the Egyptian government feel programs like this play a crucial role in increasing financial inclusion, particularly as it will show employees— now payroll cards holders—the multiple advantages these cards can have. In addition to education, payment companies are preparing to broaden the acceptance of electronic payments, encouraging brick and mortar as well as online merchants to support a wider range of electronic payment options.